The first part consists in defining the contents of the grid by simulating several layers. For that sake, we perform an estimation (based on Kriging) and connditioned by a small set of samples: A set of limits is also prepared which will be used to subdivide the grid into several layers. Now we calculate the porosity for each layer. This will be done by setting or simulating the log-porosity. Finally all the log-porosity variables are transformed into porosities. The variable "Layers" is then used to create indicator variables. Combining the porosity and indicator variables leads to the new Porosity variable. Finally the spurious construction variables are cleaned out. 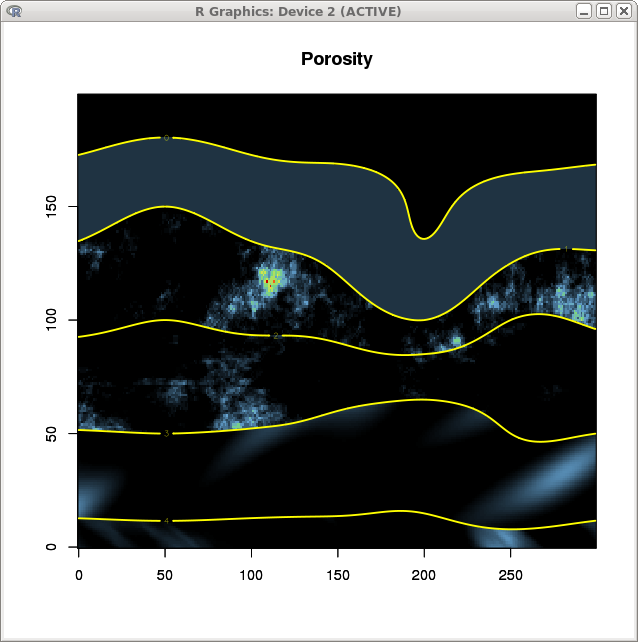 The resulting Porosity variable is represented graphically, together with the layer limits. 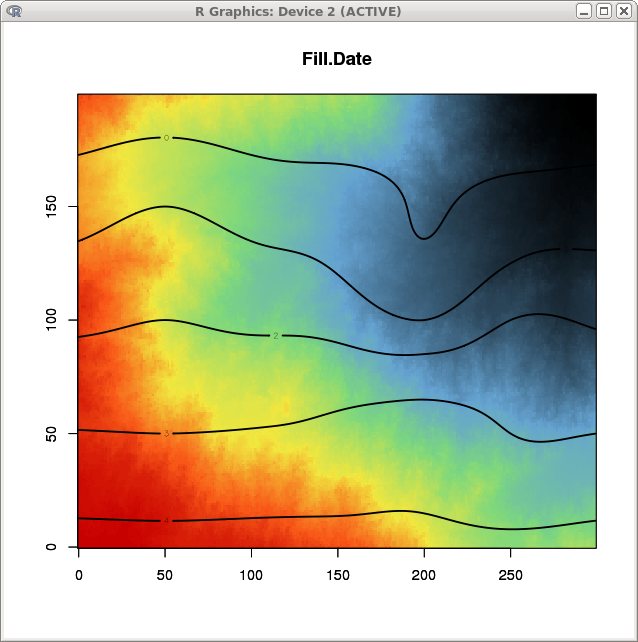 Now it is time to perpare the fluid propagation algorithm by defining a Facies variable (constantly set to 1) and a Fluid variable initiated to 0 except at the upper right corner of the grid where it is set to 1. Finally, we start the fluid propagation algorithm. The last part is the graphic representation of the propagation data together with the layer boundaries.